School is out, and summer fun is in session! 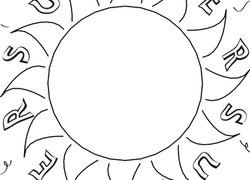 Help children's minds stay sharp with this fun collection of Summer worksheets. From coloring pages that boost fine motor skills to letter recognition and simple sorting and categorizing of seasonal items, these engaging Kindergarten printablesHelp kids practise important concepts before heading off to year one in the fall. 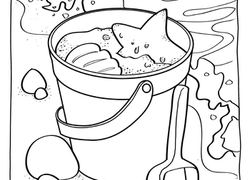 This sand pail coloring page reminds us that nothing says summer quite like playing in the sand! 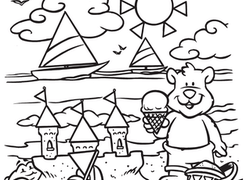 Help your student celebrate summer with this beach coloring page. Follow it up with a fun afternoon in the sun! Who's in the mood for frozen yogurt? This yummy play-food is sure to keep your child's sweet tooth satisfied. Summer's a good time to get grilling! What are your favorite barbecued foods?